It's been so long since I've seen the band name "Fugazi" associated with anything new, I was happy to see something interesting emerge during the band's indefinite hiatus. And, in true Fugazi fashion, there's charity involved. 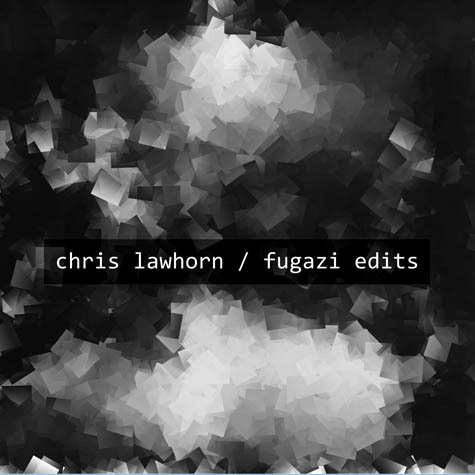 I received an email from No Ripcord editor-in-chief, David Coleman, a couple weeks ago about Chris Lawhorn's Fugazi Edits, a 22-track mash-up comprised of instrumental snippets from every song Fugazi's ever released. I can't claim to have heard the complete results of Lawhorn's efforts, other than the two 20-second excerpts he posted on his website and the clips below from Soundcloud, but it sounds like he takes some interesting liberties with the source material and experiments with disjointed soundscapes as well as cohesive blends. The album is available for pre-order. All info below came from a press release from Lawhorn. Fort Wayne, IN – September 12, 2012 – Chris Lawhorn will release his fifth album Fugazi Edits on October 30th on Case/Martingale Records. Fugazi Edits features 22 tracks, which were pieced together using excerpts from every song in the band Fugazi's discography. The album's been in the works for almost two years. It's entirely instrumental and combines 100 Fugazi samples with a variety of effects. Ian Mackaye (from the band and their label Dischord) has authorized the album for release. And, the profit from will be donated to a pair of charities—one that works with senior citizens in Washington, D.C. and another that provides aid globally to folks impacted by disaster and civil unrest. This gradual switch from rocking to beat-making isn't exceptionally unique. But, it led to an 18 month stint as the resident DJ for Marie Claire magazine. When that wrapped up, Lawhorn began work on Fugazi Edits—in an attempt to make something that touched on both the musical influences of his youth and his current love of cutting up tracks and reassembling them.